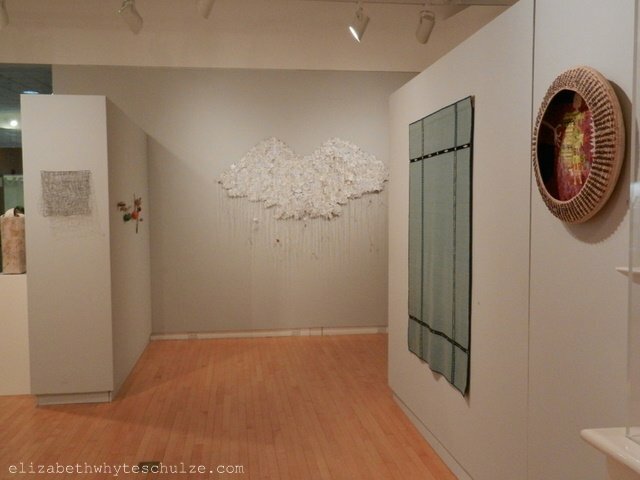 An exhibition featuring the works of six nationally recognized fiber artists. The show opened February 21, 2012 and will run through April 24 at Mercy Gallery on the campus of Loomis Chaffee School in Windsor, Connecticut. 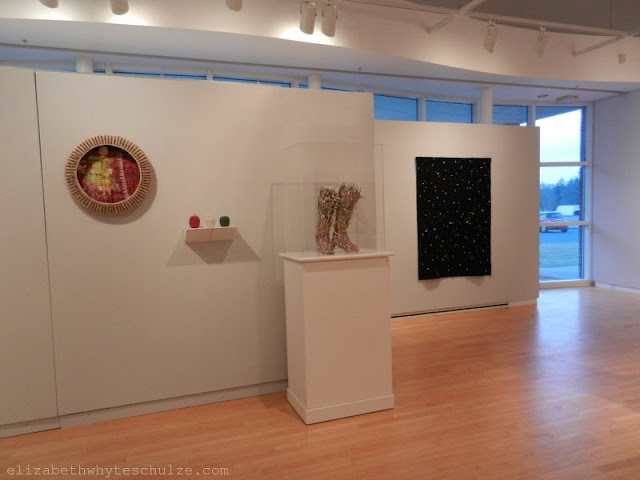 “Woven” features the works of Rebecca Siemering, Nancy Moore Bess, Lorrie Fredette, Nancy Koenigsberg, Mary Kasper and was curated by Elizabeth Whyte Schulze. 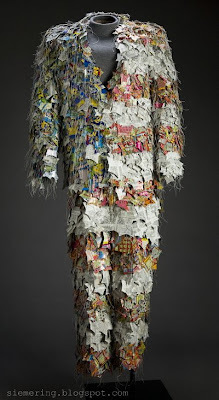 The show presents an unusual range of materials used by the artists who weave, twine, bind, fold, stitch and coil in the creation of their vessels and sculpture. 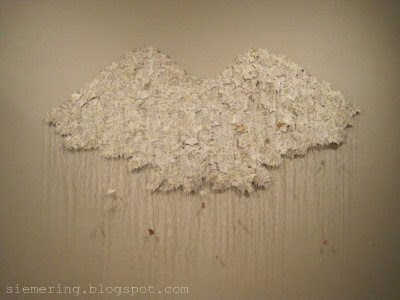 Icarus by Rebecca Siemering like many of her other sculptures is made with discarded lottery tickets. In this instance the back of the tickets form the surface of the cloak. She has said that she is always asked how much was spent to make the piece, and the amount is on the back of all tickets. It has a pattern of numbers and letters. It is a cloak, but hung up on the wall to see the overall pattern. 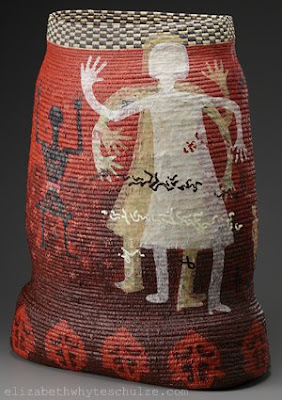 The sculptures, vessels and wall hangings are constructed using a veriety of materials including industrial wire, discarded lottery tickets, dental floss, hand dyed wool, waxed linen, pine needles, raffia, Japanese papers, and wax encrusted muslin. © Erik Gould, used with permission of the artist. For additional information about the works of Rebecca Siemering, Nancy Moore Bess, Lorrie Fredette, Nancy Koenigsberg, Mary Kasper and Elizabeth Whyte Schulze visit their respective websites. Additional press about the exhibit. 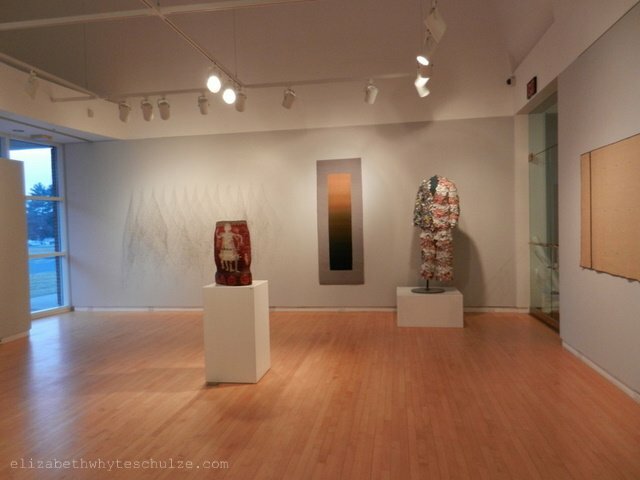 The Sue and Eugene Mercy, Jr. Gallery is located in the Richmond Art Center on the campus of The Loomis Chaffee School in Windsor, Connecticut. The gallery is open Monday through Friday from 10 a.m. to 4 p.m., Tuesday and Thursday evenings from 7:30– 9 p.m. and Sunday afternoon from 1– 4 p.m. There is no admission charge. 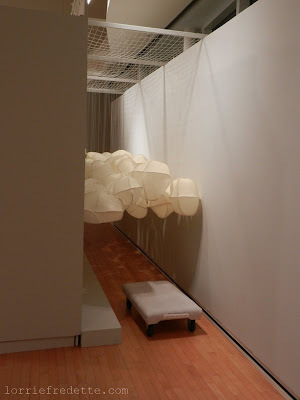 Please note that the gallery is closed during school vacations. For additional information, call the Richmond Art Center Information Line, 860-687-6030. 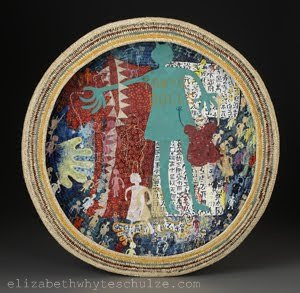 For additional connections to fiber artists and contemporary basket artists, visit BasketMakers.com.